Christine Chapman has been an educational consultant since 1995. She has worked with over 3,000 domestic and international families helping them find and secure the right education choice for each child. In 2012, Christine stepped away from her consulting practice for three years to become the first Director of International Students at a Boston area independent school where she oversaw international admissions, international college counseling, taught all international students while also being responsible for SEVIS I-20 documentation and visa procurement assistance, assisted with the annual fund and student health insurance, host family referrals and liaison work. Christine Chapman has served as Senior Chair of the Schools Committee, was part of the IECA Credentialing task force for schools consulting and currently serves on the Membership Committee for the Independent Educational Consultants Association. She was a board member for The Cape Cod Montessori School, served as vice-president and secretary of The Sandwich Montessori Enrichment and Assistance Fund, and currently serves as co-VP on the Hopkins School PTA and is the parent liaison coordinator for the executive board of the Hopkinton PTA. Ms. Chapman is the published author of The International Student's Guide to Applying to Private Schools, has contributed to a college admissions-based blog on Cape Cod Today and Plymouth Daily News, was a contributor to the Cape Cod Kidz website, and has her own parenting site: ParentsPage. Christine Chapman is a graduate of the Sacred Heart School of Montreal and Skidmore College, and she is in pursuit of her master's degree at Harvard University. Sims Yun graduated from Tufts University, where she majored in biology and minored in political science. 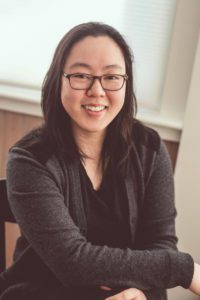 During her university years, Sims co-founded and ran a tutoring organization that helped match international students to tutors and supported their adjustment to the rigors of academic life in the United States. These students were also supported in their standardized test preparation for the TOEFL, SAT I, SAT II, SSAT and ISEE. As a tutor herself, Sims has worked with over 100 students, developing and personalizing study materials and learning methods to help students build study skills, strengthen learning foundations, and ultimately improve grades and test scores. After graduating from university, Sims worked as a director for two businesses where she streamlined business processes, developed and trained associate teams and interfaced with product vendors. She also worked as a legal intern, analyzing the viability of EB-5 based business projects, developing marketing materials for potential investors, building financial models and securing permits under California state guidelines. In her free time, Sims has been reluctantly trying to enjoy time at the gym, but has assiduously (and quite successfully) avoided Christine's invites to attend yoga classes. Sims loves watching documentaries and HGTV and hanging out with her friends. She is a coffee addict and a little bit of a tea snob. Victoria Keller manages the career coaching offerings at Personalized Educational Solutions. She is dedicated to empowering students to find meaning and purpose in work and life. Her coaching style allows clients to feel heard and trusted no matter the challenge or milestone. Vicky’s experience includes career development, teaching, project management and human resources. Most recently at Babson College, she became a leader in the development and delivery of career education curriculum and career coaching. She is known for her passion in providing clients with the opportunity to delve into their authentic self and apply it to their personal journey of career exploration. She holds a Master's degree in counseling from Boston College and a Bachelor’s degree from West Virginia University. Elizabeth “Lisa” Sanchez O’Brien has joined the team as an assistant. She is a licensed independent clinical social worker (LICSW) and prior to joining Chapman Educational Services, Lisa worked as a LICSW at Boston Children’s Hospital. She also held positions as a licensed clinical social worker at Connecticut Children’s Medical Center and in the Hartford Public Schools. Lisa’s experience as a social worker has provided her with invaluable experience working with students, parents and other family members as they transition through major life events. 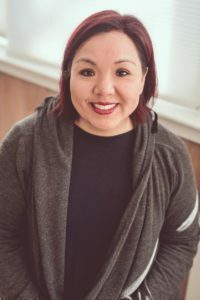 Lisa earned a master’s degree in social work from the University of Connecticut School of Social Work and a bachelor’s degree from Providence College. She is also fluent in Spanish.